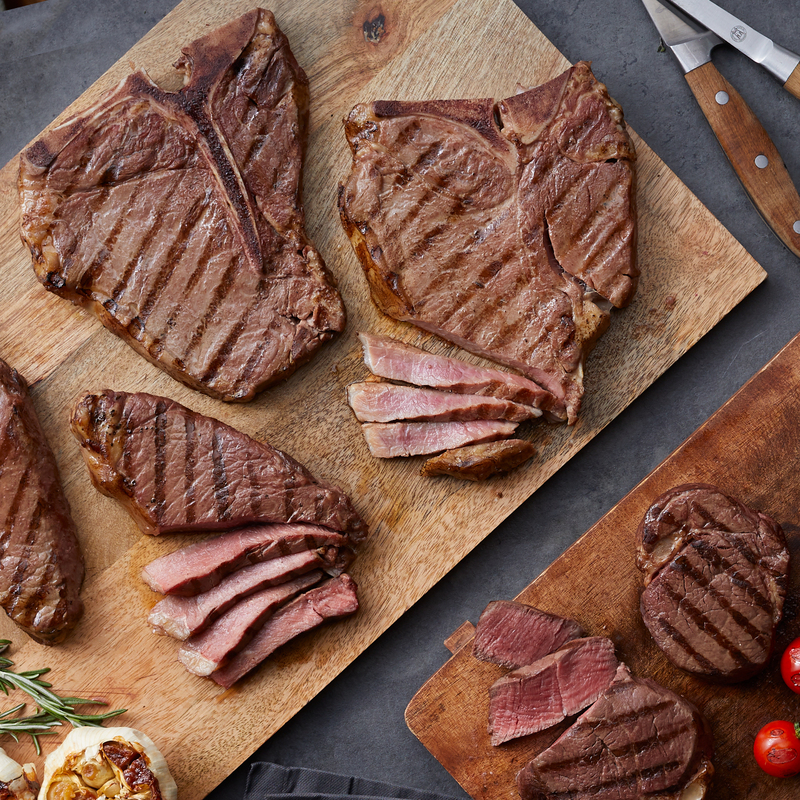 Thrill the steak lover in your life with a sampling of our most well-loved cuts! 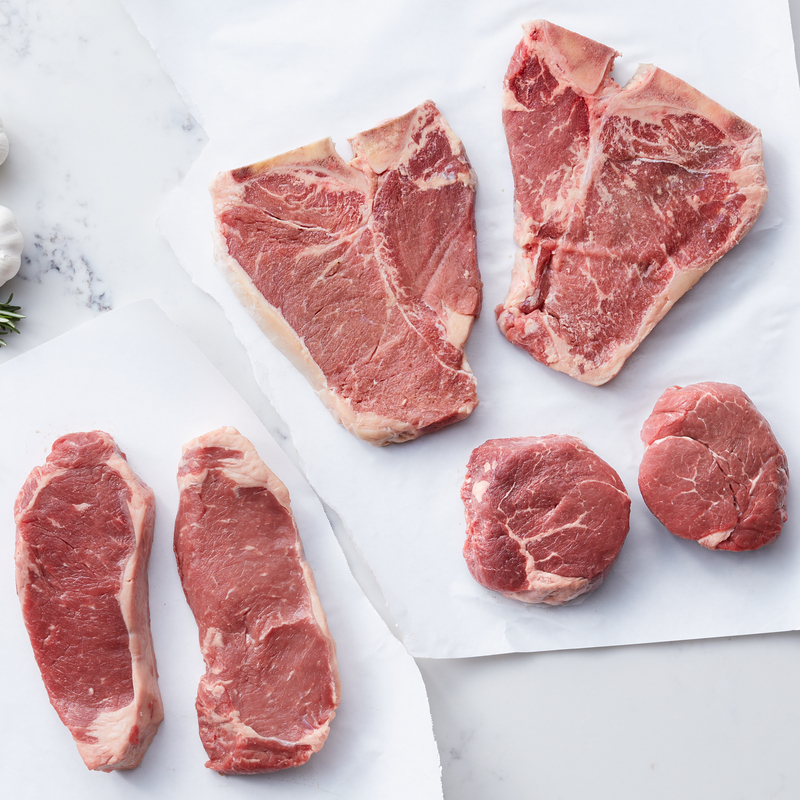 This assortment features steakhouse favorites like New York Strip, Porterhouse, and Filet Mignon, all naturally aged for up to 21 days. Our Gourmet Assortment is the perfect gift for any steak aficionado or at your own table to celebrate a special occasion. Ships frozen raw.